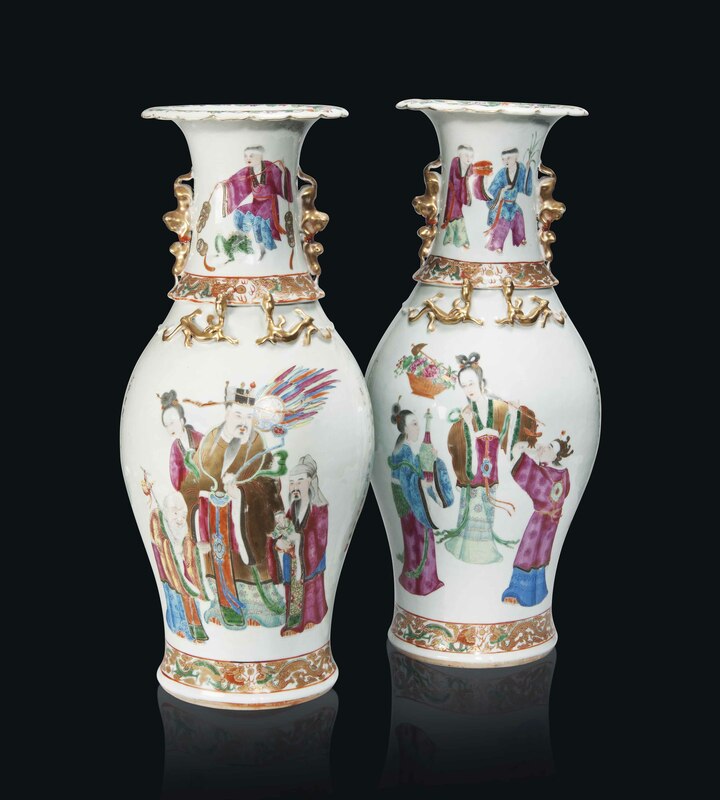 Each vase has a foliate rim and is decorated with moulded and gilt kui dragons to the shoulder. The vase is decorated with large depictions of various immortals, including the Three Star Gods, Fulushou, Liuhai and his three-legged toad, the Hehe Erxian, and the Queen Mother of the West, Xiwangmu. These depictions are interspersed with gilt inscriptions that each have an iron-red seal mark.